Samsung had a product paged launched for a few hours announcing that Samsung Galaxy Camera will come to Verzion LTE. However after a few hours the page was pulled off. The ones to support the news that Samsung had this page are Engadget and The Verge, two tech well known tech sites. 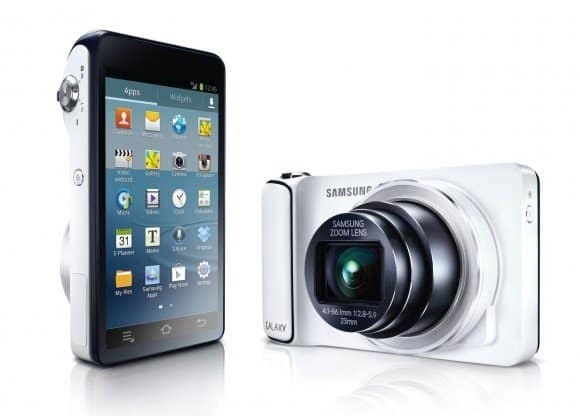 The Galaxy Camera is an innovative product from Samsung. It’s not a phone, it’s a real camera that runs Android 4.1 Jelly Bean and it’s already selling with AT&T at a no contract price of $499. It’s very probable that the Galaxy Camera will have an official announcement for Verzion LTE very soon now with a fixed release date and a fixed price. The difference between AT&T and Verizon is that the first carrier offers a mobile data sharing plan priced at $10 while Verizon doesn’t have this type of plan. So will they force a contract on you if you want to buy the Galaxy Camera? We’ll have to wait for the official release to know this.